The Department of Obstertrics and Gynecology has been functioning in Kovai Medical Center and Hospital since its inception in 1990. It has been giving stellar service in Obstertrics and Gynecology care to woman not only in Coimbatore but also in many surrounding districts. This department has developed a very good name in the field for routine obstertric care, high risk obstertric care and obstertric critical care. Advanced care in Neonatology also helps the patients to achieve a happy outcome even after extreme conditions in pregnancy. The Department of Obstertrics & Gynecology in KMCH handles about 2700 cases per year of which about 5 – 50% are high risk obstertric cases with maternal conditions like repeated pregnancy wastage. Medical comorbidities like epilepsy, heart problems with pregnancy, asthma, blood dyscrasias complicating pregnancy, SLE/ Ant phospholipid syndrome etc. KMCH is tertiary care referral hospital and we get a large number of complicated referral cases from outside hospitals. Backed by a very able and committed team of four full time and two visiting consultants, full time specialists from other allied specialities, very efficient blood bank which offers full range of blood & blood products for the patients and most importantly a very well equipped and modern intensive care unit which is manned by highly trained Intensivists day & night. We are able to offer exemplary and expert care to our patients at all times. The Radiology Department has high definition ultrasound with capability of 3D&4D imaging and fetoscopy. With dedicated radiologists capable of doing level 4 obstertric ultrasound. 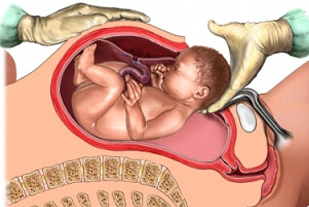 We have a very strong sonographic onoitoring system in Obstetrics & Gynecology. Again being a tertiary care center, we have a large number of high riskgynec patients with multiple co-morbidities which ar handled very safetly in our department. Having a well established blood bank also definitely makes these major surgeries very safe for our patients. Department of gynecology started gynec laparoscopic surgery in 1992 and has been performing gynecology Laparoscopic procedures ever since. We perform the entire range of procedures which are again very ably backed by specialists in allied specialities. Department has been doing very good work in infertility also. Both male & female partners are worked up along with the allied specialities like urology. 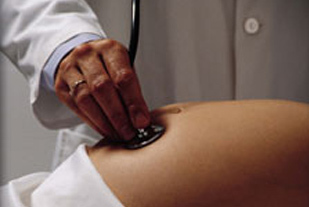 Fertility enhancing procedures and surgery are also performed with a high success rate. Hospital also has an IVF lab which takes care of patients needing artificial reproductive techniques (ARI) and allied procedures.